While handling 1 room is easy, managing several rooms at once is not easy because owners often have a second unit in a different location and travelling to that location on call. Having Smart home devices that could be managed through an app. 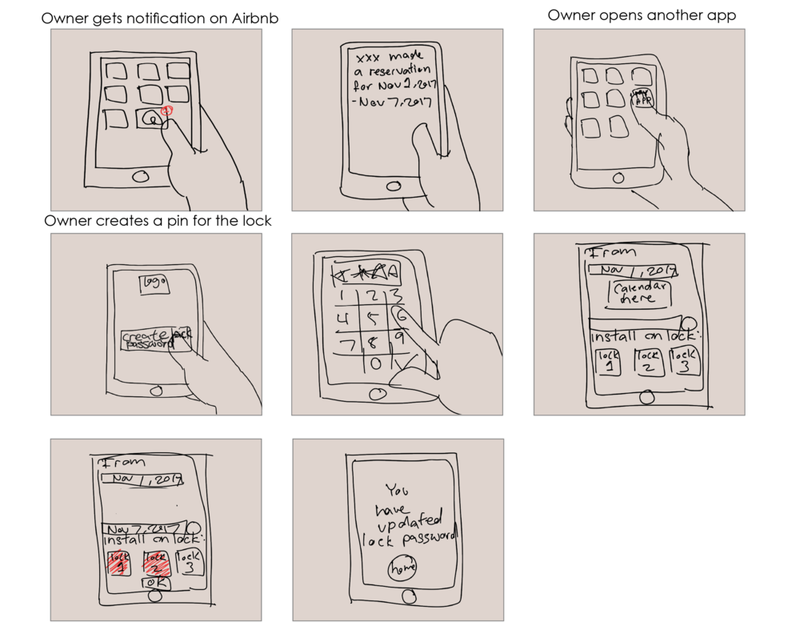 The app would notify owner of smart lock activities as well as tracking energy usage. Problem: Guests sometimes spike energy usage without consent and owners wants to know when someone has arrived. The ability to give for owners to see the energy usage by unit and manage who the current guest is staying in the unit. I first conducted a competitive analysis on what other kind of applications are out on the market. I was mainly looking at smart home devices and smart locks. What I discovered is that: They are products which only target one house. This means, if you have multiple suites to manage, this would be useless. My main users are full time Airbnb owners who manages over 2+ suites. I based the persona on my interviewees. What I understood was that they are not the most tech literate people and starting to get tired of moving between their 2 units because of unexpected difficulties that could be solved with a smart home devices. Looking at problems and concerns this platform may have and how I can design around it. Having anything digital will mean having a hackable device. How can I counter this? The idea behind managebnb is that the owner will be able to change the smart lock pin for every tenant. 2. 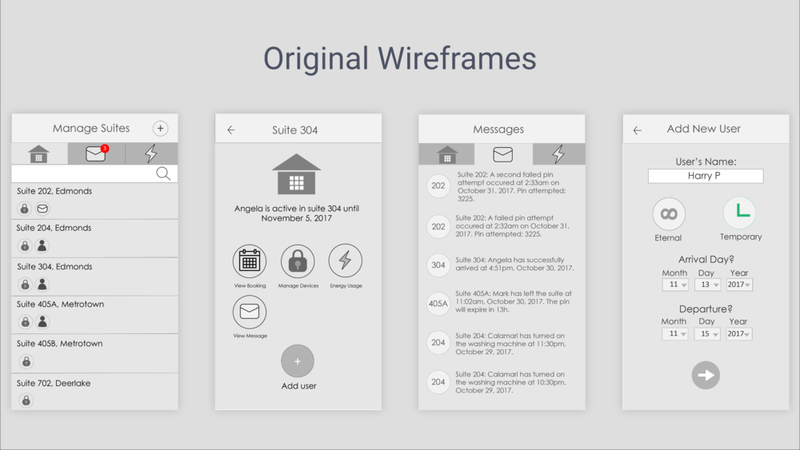 Managing information by suites. What I learned is that the user interface was confusing and could be made better. Also it required a type of dashboard that allowed the user to see all different types of information. Exploring what kind of information should the Airbnb owner see when they look at their suite. 1. Some owners rent out different rooms within a single unit separately, so locks on separate rooms would be necessary. 2. They remember their apartment places by location and units. Not by names. 3. Owners said seeing the energy consumption of a unit is crucial for them.